I object to the sexist use of the word “hysteria” which implies that disturbances to the uterus render women emotionally fragile. 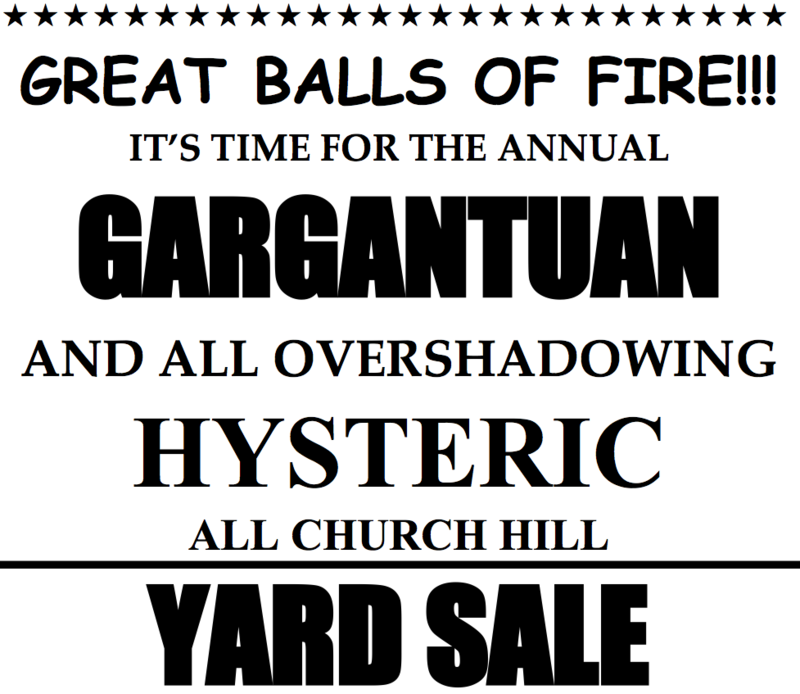 Check your male privilege, yard sale organizers. What year is this! ?